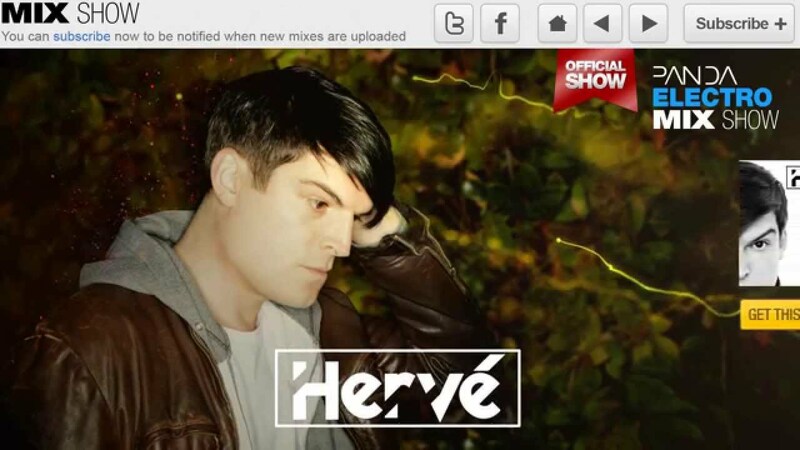 Panda proudly presents one of the hottest artists in electro house Hervé. The London-based producer also known as Joshua Harvey is here with us today in a 30-minute exclusive guest mix. From reaching the #1 spot in the UK Dance Chart with "Beeper", collaborating with the legendary Fatboy Slim to produce "Machines Can Do the Work" to becoming an overnight sensation when his track "Together" became one of dance music's anthems of 2010, Hervé has been continuously pushing his music forward since he made his debut in 2006. Hervé musical style is profoundly raw, making a concious stylistic choice of avoiding the the typical gazillion-oscilator poly-saw sound that we hear too much today. He's also a member of the group Machines Don't Care with Sinden, Trevor Loveys, Affie Yusef, Toddla T, Fake Blood, Detboi & Drop the Lime that recently put out the massive "Beat Dun Drop" earlier this year.